There’s nothing worse than getting stuck before you even get started when learning a new hobby! When I first learned, I could NEVER remember how to cast on in knitting. 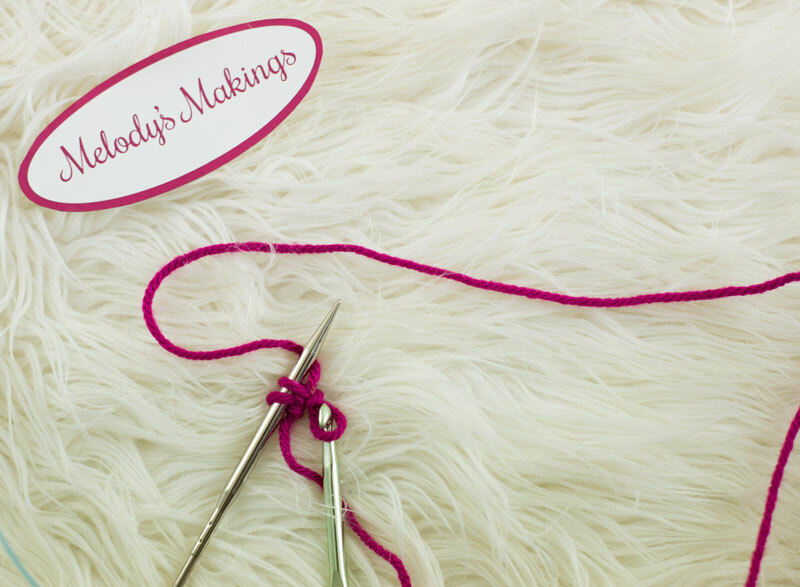 Since a knit cast on (there’s quite a few different methods out there!) is how you create a foundation row for your project, it’s a crucial part of getting started. It was rather frustrating to gather all my supplies, find a cozy quiet spot to work, sit down, and not even be able to get started. I don’t know why I found the traditional knit cast on method to be so crazy hard to remember, but I had a serious brain block!! 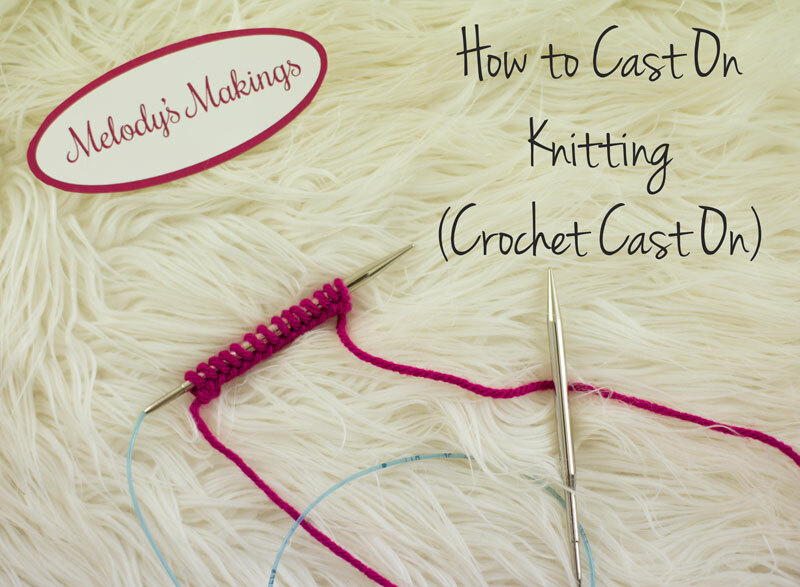 I was constantly going over to YouTube and re-learning how to do the knit cast on. Luckily, I had a bit of a knitting guru who could help me along at the time. After teaching me the traditional method a handful of times (and recognizing my capacity for forgetfulness), she showed me the absolute BEST method of how to cast on knitting. This simple method has received rave reviews from everyone I’ve shown it to. Especially those who crochet before they pick up knitting. 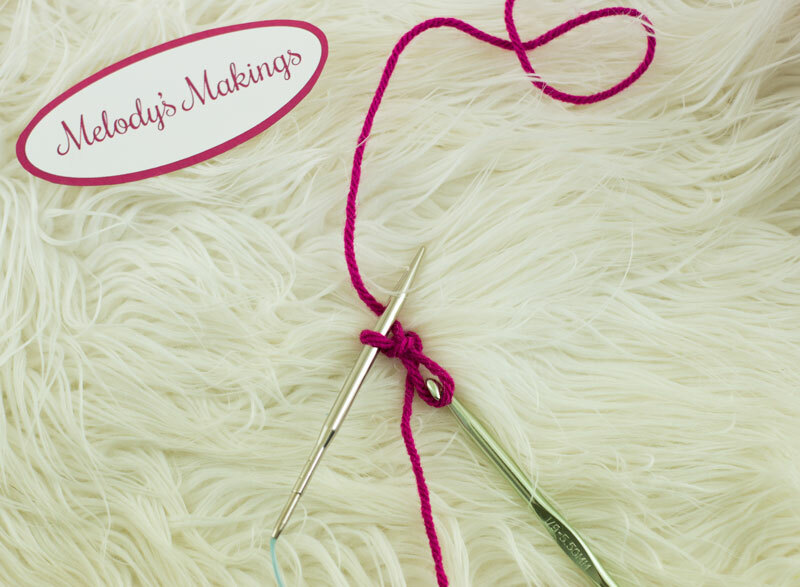 Because you use a crochet hook to help create your row of foundation stitches in this method, it feels comfortable and familiar to those who learned crochet first. The edge created by this cast on method has a fair amount of stretch to it and looks similar to the edge created by the traditional bind off method. It’s a lovely, finished look. I use this knit cast on method for all types of projects. I’ve used it from socks to hats to blankets. It looks lovely on any project. 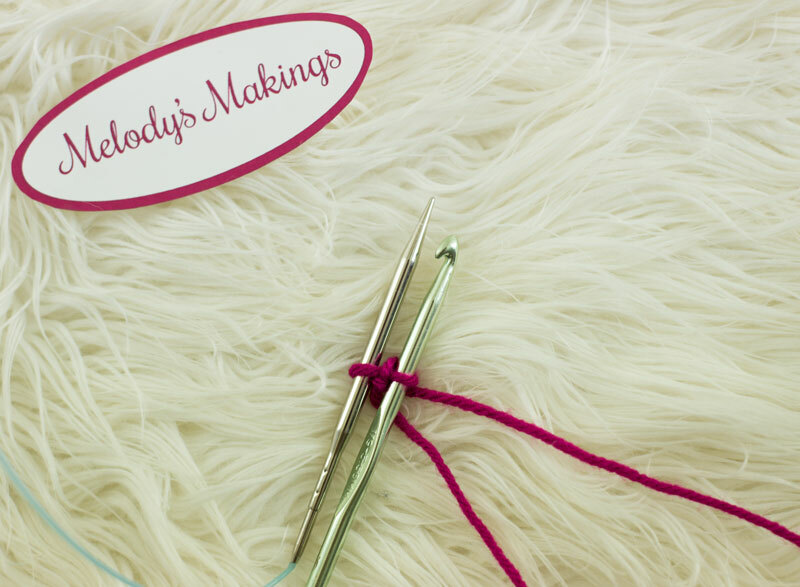 If you’d like to ensure it’s extra stretchy, then you can use a crochet hook that’s just slightly larger in size than your knitting needles. This helps keep it all nice and loose (and stretchy!). Also worth mentioning is that this cast on starts right near the tail end of the yarn…..so there’s no tricky guesstimating on how much yarn you need to leave free like some other methods. I’ve shared a video on how to do this crochet cast on method for knitting there. Step 1. 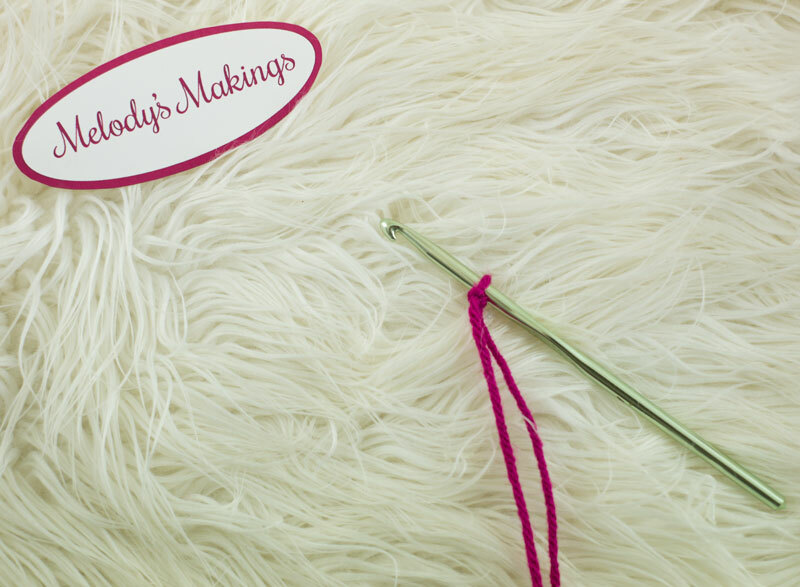 Get a crochet hook the same size (or one size larger for extra stretch) as your knitting needles. Step 3. 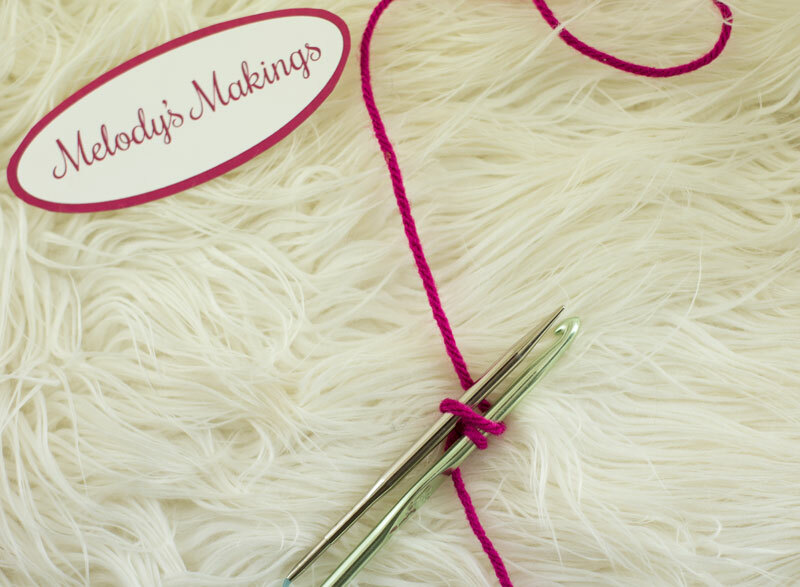 Vertically line up one knitting needle with your crochet hook. Step 4. 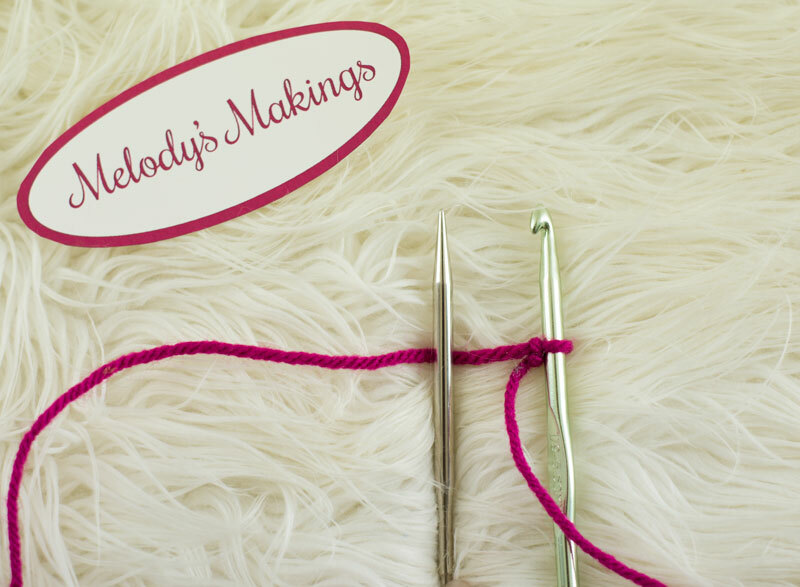 Take working yarn under knitting needle and fold it back over the top of crochet hook. Step 5. 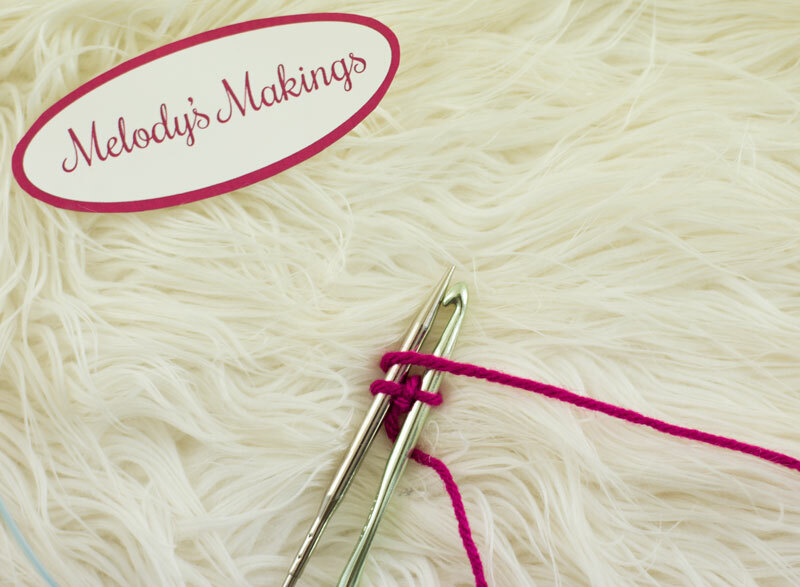 Wrap yarn under knitting needle again so you create an additional loop on your crochet hook. Step 6. 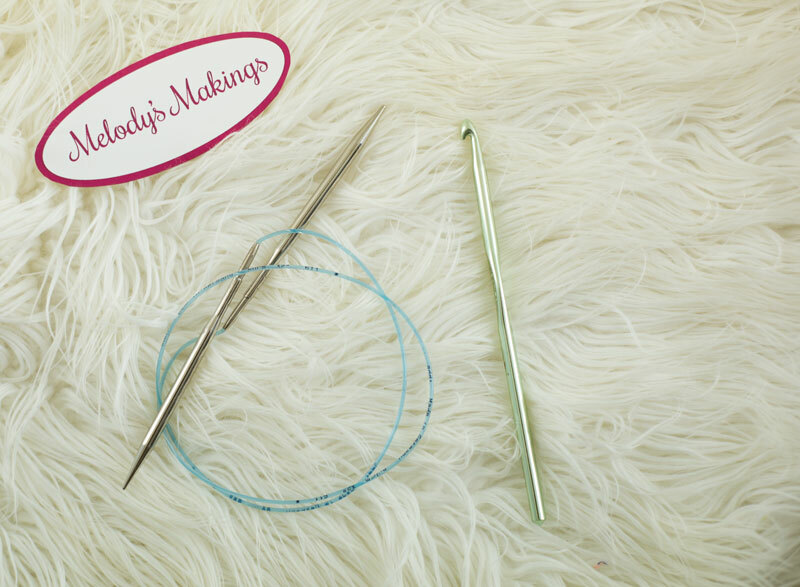 Use crochet hook to pull top loop through bottom loop, creating a secure loop on knitting needle. Step 7. 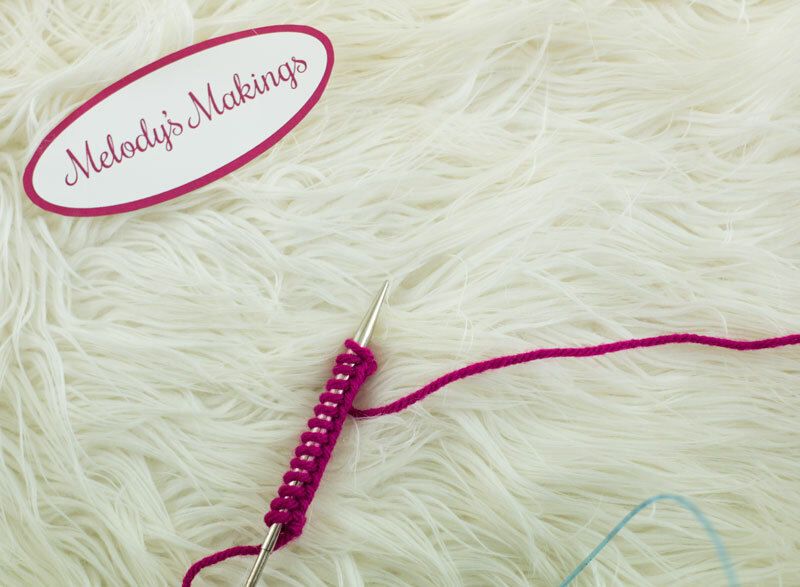 Slide remaining loop back onto crochet hook and line hook and needle up to create another loop. Step 8. Wrap working yarn back under knitting needle and over the top of both needle and hook. Step 9. 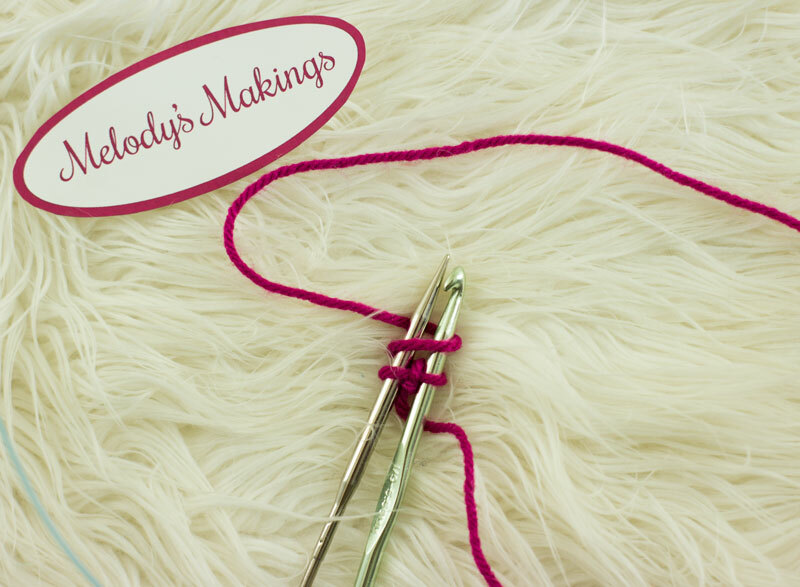 Wrap yarn back under hook and needle in preparation of creating another loop. Step 10. 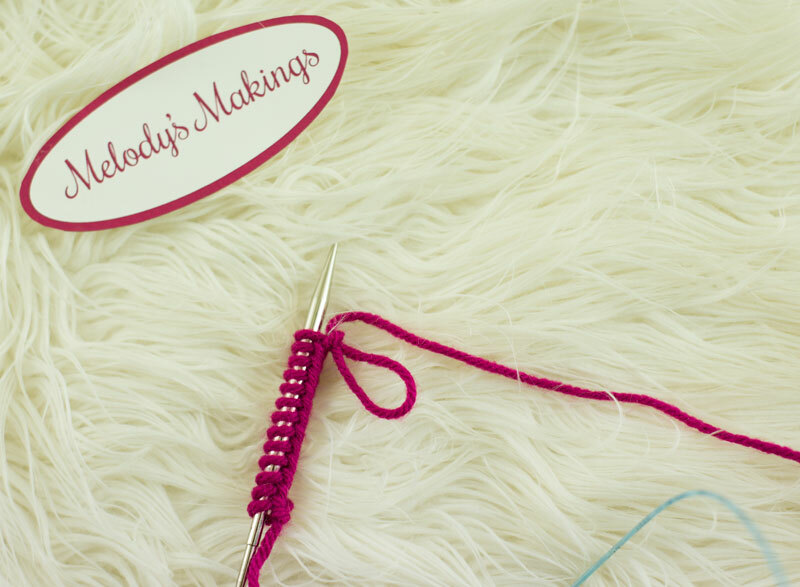 Use crochet hook to pull top loop on hook through bottom loop on hook, creating another loop on needle. Step 11. Repeat Steps 7-10 until you’re one loop shy of the required amount needed to start your project. Step 12. To finish cast on foundation row, remove loop from crochet hook. Step 13. Place loop onto knitting needle. Step 14. 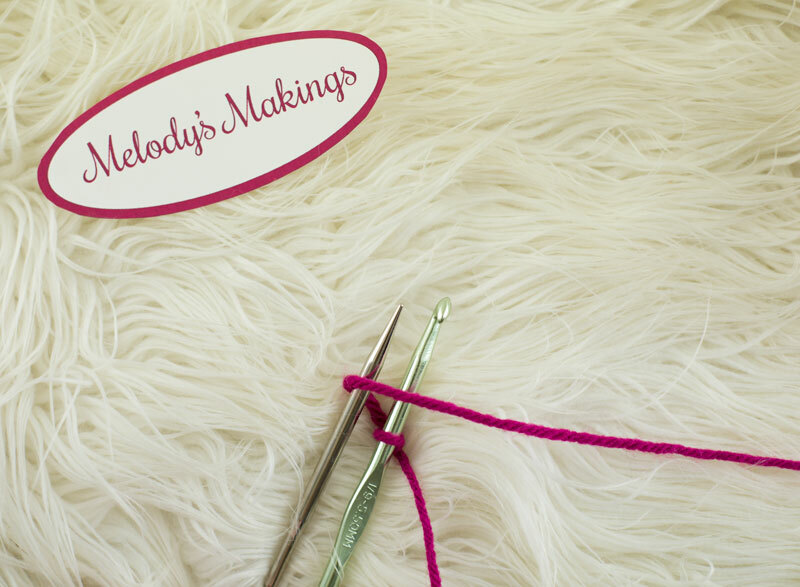 Pull on working yarn tail to snug the loop up in preparation of knitting your first row.